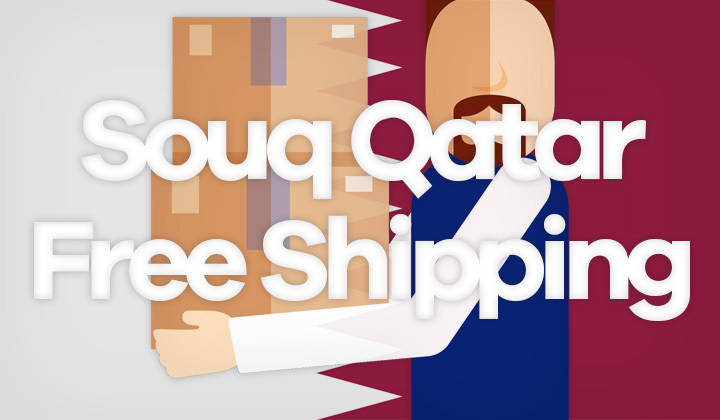 Souq is a popular destination for online shopping in Qatar, although products are stocked in the UAE, you get free international shipping for most products. The policy on free shipping is not too clear on Souq.com, and it actually depends on a variety of factors such as shopping category, item type and where it’s stocked. Make sure you are on the Qatar version of Souq (click here). Navigate to a shopping category of your choice. Look for items that say “this item is eligible for free delivery”. Select “Fulfilled by Souq” to get more eligible results. Select “ships from UAE” to further increase your chances. Also, click on the product quick view to check eligibility. You can also optionally use cash on delivery (known as COD) but you will need to verify a mobile phone number in Qatar for it to work. It is advised to register and attach an address in Qatar to your account. So that shipping eligibility and any possible shipping fees can be calculate automatically. Customer care is available in Arabic and English, please do not hesitate to contact support if you have any problems with buying or your order. Al Wakrah, Umm Şalāl Muḩammad, Al Wukayr, Al Khor, Ash Shīḩānīyah, Dukhān, Madīnat ash Shamāl, Al Rayyan, Doha and Musay’īd. Please, note that coupons are not needed for free delivery! Questions on free shipping and ordering to Qatar? I’m happy to answer all inquiries related to Souq, thanks! You might like to know that sometimes the link you might click on within the contents of the blog are affiliate links. Massive thanks for the support. Please, share if possible and thanks for reading. David.